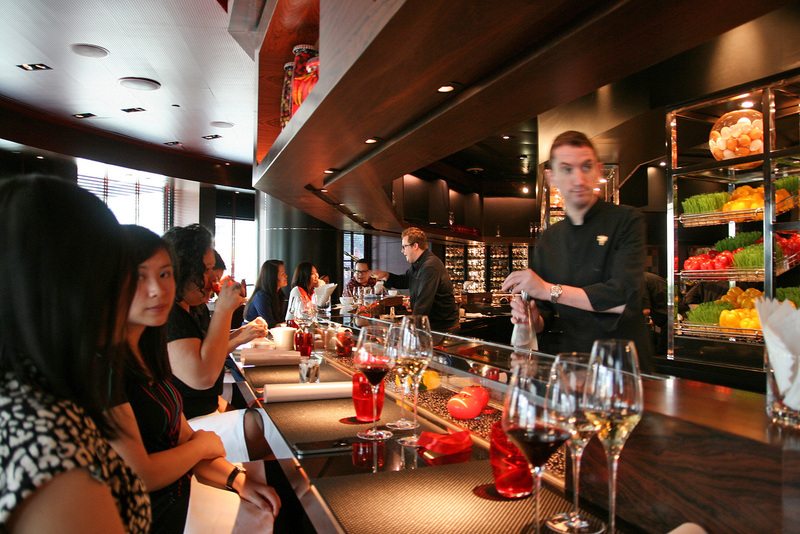 If you're looking to treat yourself but don't want a heavy Sunday brunch, just cross over to Resorts World Sentosa (RWS) -- L'Atelier de Joël Robuchon is now serving lunch on Sundays! 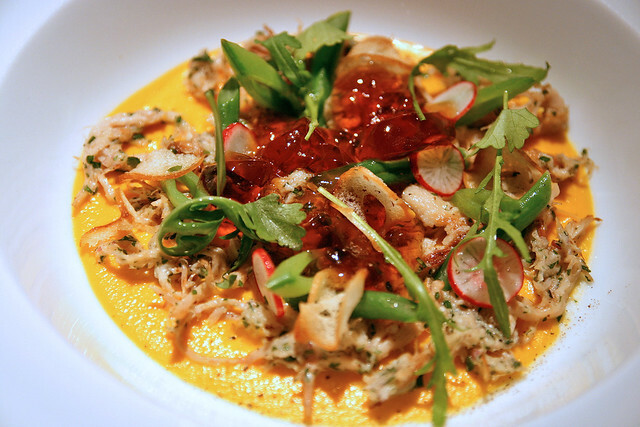 The menu features a selection of sought-after signature dishes, and some bold new creations. You can tailor your own menu, just like for dinner. A three-course menu (appetiser, fish/meat, dessert) is merely S$49, or you can add soups and more courses for the S$68 (four-course) and S$87 (five-course) menu. All menus come with amuse bouche, coffee/tea and mignardise. Chef de Cuisine Lorenz Hoja, formerly from Robuchon's two-Michelin starred Atelier Restaurant in London helms this outlet, and I love the cheerful energy that's always present here. What's really great is that the food here is of fine-dining standards but the atmosphere is casual and welcoming. You get to see the staff preparing and plating your food in the sleek red and black open concept kitchen, and the servers frequently will come and chat with you, happily sharing about the food they present. This is my first time trying the restaurant without Mr Robuchon being present, and I must say they held their standards very well. 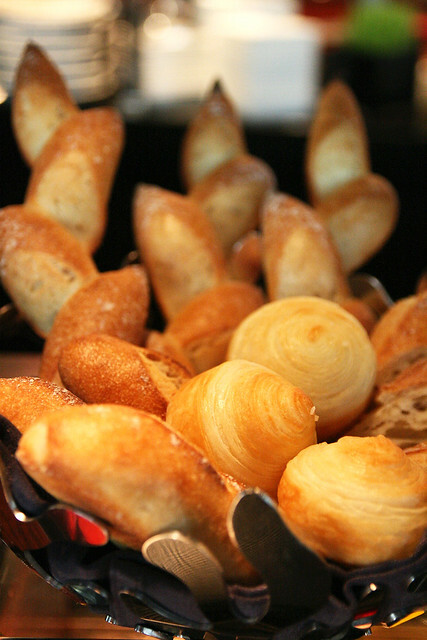 The lovely bread basket -- you can never have too much bread when the bread is this good. The croissant-like rolls are the crowd favourite. 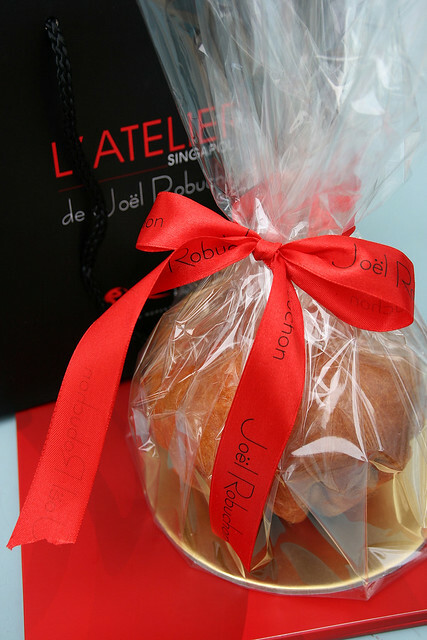 Robuchon has its own dedicated bakery within RWS led by baker chef Yoshihiko Tauchi. I noticed now there is a "Le Pain S$12" option on the menu - a box of seven pieces of bread. Oh my, you can now take home their luscious breads! YES!!! But, I digress, let's move on to the lunch proper. The amuse bouche is still the same, and I am thankful for that, because it is the most awesome starter ever. 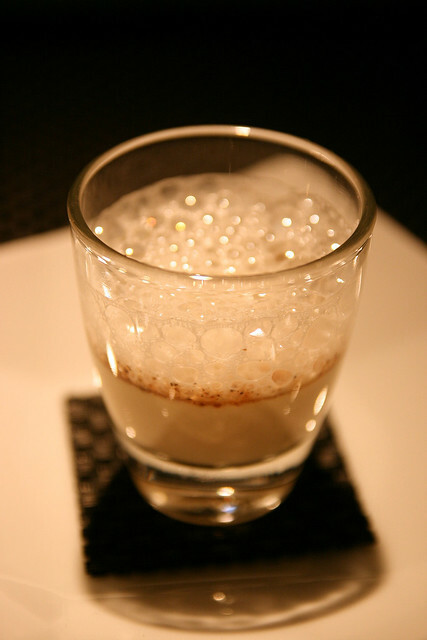 Foie gras custard with red Porto wine and parmesan foam. The individual components are all very aromatic, but scoop it all together and the symphony of taste is a mini epiphany. This is one of those dishes that look too good to be disturbed, but it smells so good, you dig in anyway. And by some miracle, it tastes even more beautiful than it looks! Great play of textures - creamy puree, crisp greens, savoury slivers of pork and jellied broth. I would happily eat this as a main dish any day. You could also pick other appetisers - Les Anchois (marinated anchovies with red pepper confit), Les Legumes (Mediterranean vegetables layered with buffalo mozzarella), or L'espadon (swordfish tartar with spicy tomato coulis). Robuchon dishes often have these little ingredients that aren't in your face but work in subtle ways to give a beautiful accent. The delicate curry oil in this light yet creamy soup makes it stand out. And those thinly sliced croutons are so crispy they almost taste like chips. The other soup option is La Crevette (prawns in a vegetable broth with foie gras). I was wondering how the main was going to top that pork cheek salad. 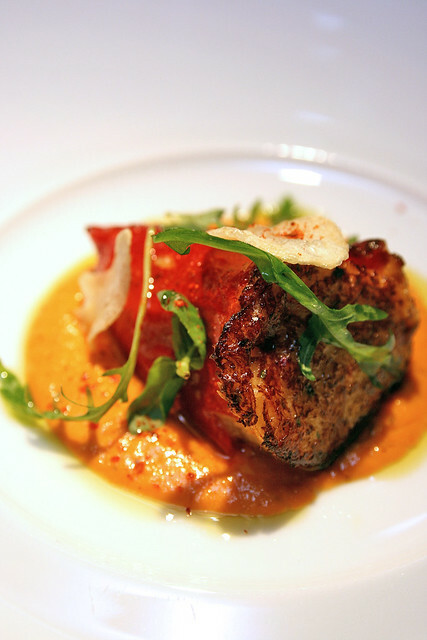 The piquillo pepper is basically a sweet skin coating the tender cod. I don't know how they managed to stuff the cod into something so thin and delicate. And then grill it while keeping it in one piece! It's gorgeous and delicious, even without the sauce. Other options include Le Chipiron (baby squid with black risotto and fresh parsley), Le Boeuf (very thin flap meat with young rockette salad and parmesan), and Le Poulet (chicken blanquette with Japanese rice). 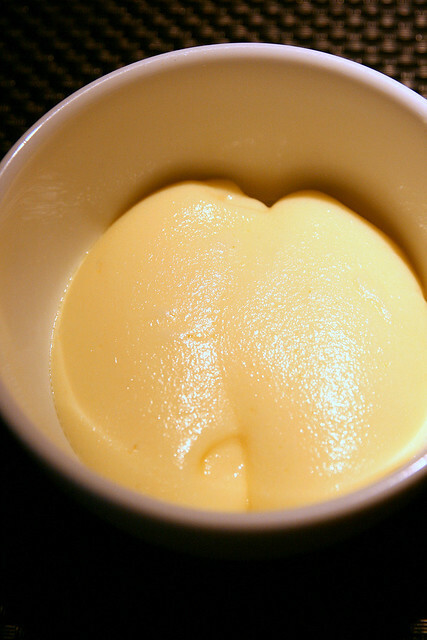 No visit to Robuchon is complete without a taste of the famous mash. So creamy, so rich and yet so fine in texture (someone handwhips this for hours, I hear). You have a choice of three desserts. 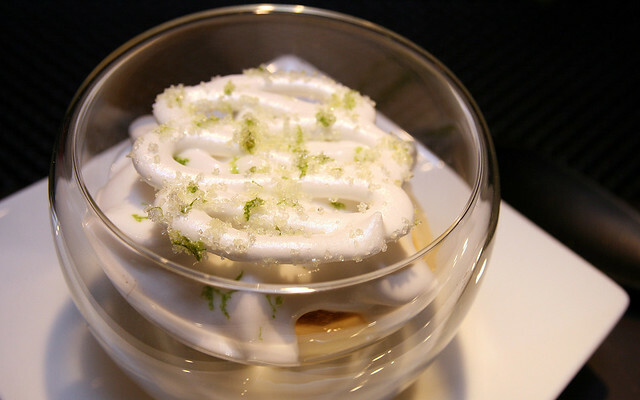 This one is similar to the Parfum des Iles, which I tried during the opening and when they introduced new dishes. It's light and refreshing with a tropical feel to it. Good way to end a lunch. Other desserts include La Framboise (raspberries on a salty biscuit with pistachio ice cream) and Le Millefeuille (chocolate crunchy pastry, mint lightness). 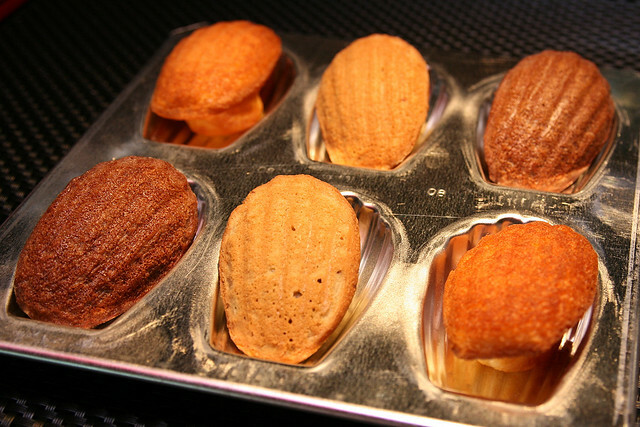 Along with coffee or tea, we were served madeleines in three flavours - chocolate, pistachio and lime. All very good, but the lime one still works best for me. So yes, now there is extra reason to hop over to Sentosa on Sundays. 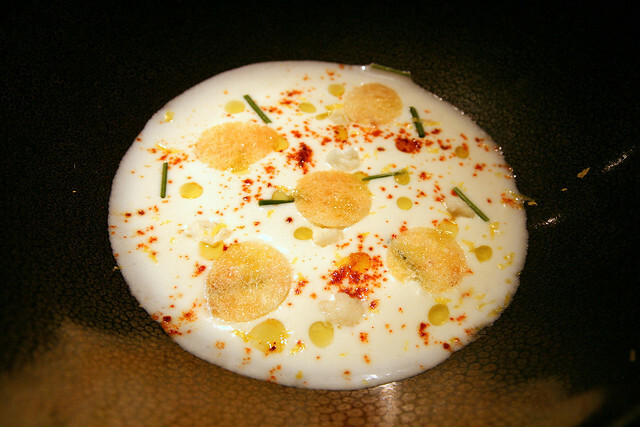 The lunch selection at L'Atelier de Joel Robuchon is just as enjoyable as dinner (if not more!) and the sets are really value-for-money. P.S. I hear you can take home the giant brioche too! Many thanks to the RWS and Robuchon team and Weber Shandwick for the invitation. It all looks yummy, and slightly posh too!